What a difficult decision for the government! You have learned at school about Yasuni Rainforest and the importance of preserving this place that has one of the most vast bio-diversity in the world. 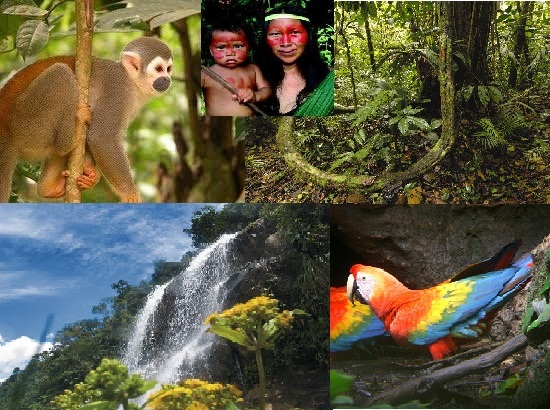 Home of indigenous tribes such as the Huaorani or the Tagaeri and Taromenani that live in isolation, this place is also very rich in oil reserves that would help improve the economy of our country-Ecuador. The governement has finally said they will exploit 0.01% of the oil reserves promising not to damage the environment or the native groups in the area. This decision was made because there is a need of more hospitals, schools and basic services in our country. So now people are debating if this is a wise decision or not. If there are other ways to improve our economy or exploiting the Yasuni is the only one. Meanwhile, natives are not very happy about the situation because they had bad experiences in the past. "Civilization" for them, is not that "civilized". Watch these short videos and then answer the question. WHAT´S YOUR OPINION ABOUT THE SITUATION? SUPPORT YOUR ANSWER WITH FACTS.